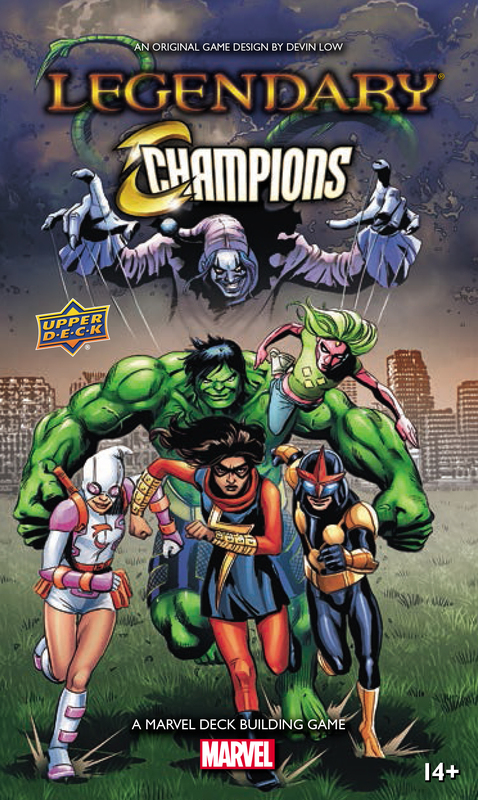 Legendary: Champions is in stores this week! Are you ready to fight Fin Fang Foom and his team of kaiju-like monsters? Can you stop the Wrecking Crew from destroying the city? 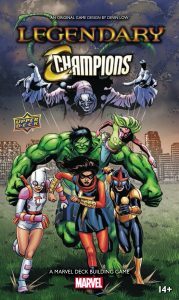 The Champions, young heroes determined to stick together and do the right thing after the events of Civil War II, come together in this expansion for Marvel Legendary. We’ve taken a look in past blogs at the return of Versatile and Demolish, and the new keyword Cheering Crowds, along with some new cards that deal with rescuing Bystanders. We also took a look at the return of the fan favorite Epic Masterminds, and the new twist on Size-Changing that allows players to reduce the cost with multiple cards and multiple classes. Today, we’re going to look at one of the fun new Schemes that come with the expansion. Hypnotize Every Human which has a little bit of extra set-up to make the Villain deck a bit bigger. We’ve seen Villains capture bystanders, we’ve seen Bystanders used as Hostages and Witnesses. But now, Bystanders are slowing the team down! 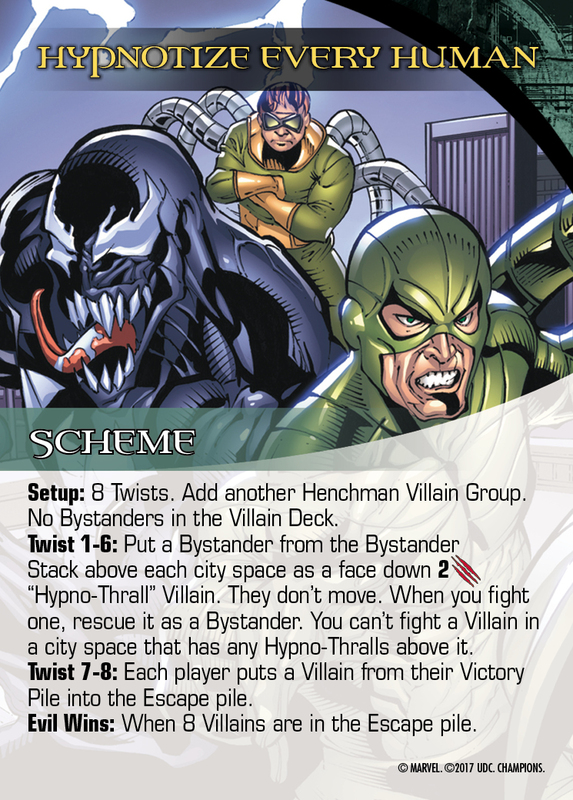 The Champions have a strict moral code, but when Bystanders protect the bad guys, it becomes a bit of an issue! 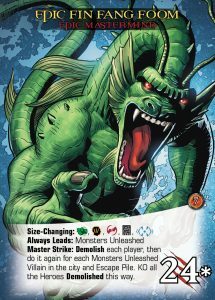 Legendary: Champions is in stores this Wednesday, February 14th for $19.99 and contains 100 cards. 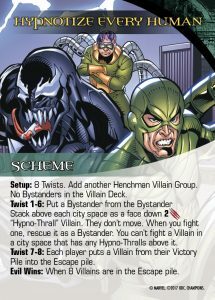 Five new Heroes, two new Villains groups, two new double-sided Masterminds with Tactics and four new Schemes.